I am always receiving questions from new bloggers on how they can start their own review or PR friendly blog. Here on The Work at Home Woman, I do review some business, tech, and career-related product reviews and sponsorships, but since my niche is so narrow, I end up turning a lot of PR companies away. 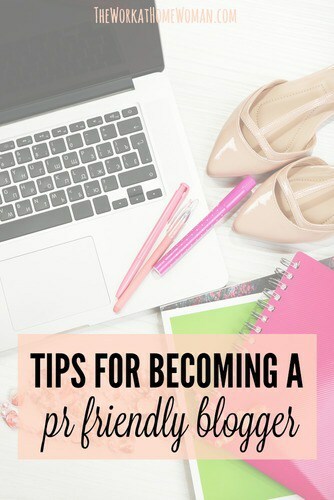 For this reason, I decided to recruit a couple of savvy mom bloggers from the blogging community and get their input on how to become a PR Friendly Blogger. Today I have Amy Oztan from the blog, Selfish Mom and Amy Bellgardt from the blog, Mom Spark. Here’s what they had to say about working with brands. How did you get into PR friendly blogging? Amy Oztan – It was totally accidental. I had been blogging on someone else's site about my brownstone renovation for a couple of years, and because of that, a friend of mine recommended me to the NYCMomsBlog. From that website, I started getting opportunities to work with brands, but writing about them were against the rules of the NYCMomsBlog, so I started SelfishMom.com. At first, it was just a hobby – my “real” blog was FilmingInBrooklyn.com, which I started around the same time as SelfishMom – but I discovered that I really liked writing about products and doing reviews. This really wasn't too surprising, since I was always the person that everyone would go to pre-blog for recommendations. I always had a subscription to Consumer Reports and would research products for friends and family. Amy Bellgardt – As my blog grew, more and more PR firms and brands started approaching me via email. Then, when I started attending blogging conferences and events, I connected with even more new contacts. It's all about relationships, really. Amy Oztan – I've done reviews for all sorts of products, but I'm really trying to get away from “one-off” reviews. No matter how well-written they are (and I do try to put a lot into my reviews), I don't think the audience gets as much out of those as they do from longer-term, multi-post campaigns. Some companies I've built long-term relationships with are XBox, Rock Band, Disney, Intel, and Casio. In a couple of days, I'll be starting a big campaign with Frigidaire. I think it helps the reader to be able to see how I live with a product over time, not just for a few hours to test it out. Everyone has bought something and loved it or hated it, in the beginning, only to have their opinion turned around after a week or two. Amy Bellgardt– I have worked with several companies that include QVC, Clorox, Bissell, Cozi, Nestle, EA Sports, Gatorade, and Hewlett-Packard. How do you approach brands that you want to work with? Amy Oztan – Usually they come to me, but I'm not shy about going to companies that I love. The first thing I usually do is ask around on Twitter if anyone I know does PR for the company in question. More often than not I get an answer and can go right to that person. Otherwise, I write to whatever email I can find on the company's website. I try to approach the company with a win-win proposal: Here's what you will get out of it and here's what I would like to get out of it. Sometimes I'm actually happy just to get paid in product because it's a product that I love and would have spent my own money on. But products don't pay the bills, so often I'll try to work out some kind of stipend, or advertising on my site, or sponsorship to a conference. We all want to go to conferences to improve our writing and marketing skills or hire a housekeeper to clean while we write, or pay for a sitter to pick the kids up from school so that we can extend our workday a little. Companies that work well with mom bloggers understand that by helping us blog better, they're really helping themselves. The responses I get from companies are all over the map, though. Some really get mom bloggers and the influence we have, and some just don't see the point and don't want any kind of relationship beyond sending out a product for review. But the more success stories that happen like Zhu Zhu pets, the more companies will come to realize that word-of-mouth campaigns are the way of the future. Amy Bellgardt – If I want to connect with a company, I will just simply pick up the phone, email, or speak to them in person. I always have a media kit, one sheet, or business card ready in case they ask for one. What advice do you have for a new blogger who wants to get involved with PR friendly blogging or influencer marketing? Amy Oztan – That's a hard one because I think I started off completely wrong, and I feel like it's one of those things where you might have to do it the wrong way before you can do it the right way. When I started, I was willing to write about any product that was given to me for free, because I was flattered that the companies knew who I was. But it didn't take long for me to realize that I was being taken advantage of a bit by some of the companies. I would say to try to build up a loyal audience before you start approaching companies. It's not all about numbers, and the smart companies know that. You want to be able to show a company that you have a relationship with your readers, that they listen to you and trust you and like your writing. Maybe your blog is only averaging 50 readers a day. But perhaps you can show a company that those 50 readers stay on your site for an average of four minutes and that you have a low bounce rate (the percentage of people who leave your site without visiting another page). Or you have 500 friends on Facebook or 2,000 followers on Twitter. Perhaps you speak to a very specific kind of reader, such as a parent of twins or moms who are doctors or … the possibilities are endless. The thing to remember when promoting yourself is, what can I give this company that another blogger can't? What do I have to offer that fits their product? Have you had to deal with any negative commentary from non-PR-friendly bloggers? Amy Oztan – I've had a few negative reactions, but usually before anything has been written. I've gotten into it with PR people who write to offer me a product for review, and I write back to them two minutes later, and there are no units left. Obviously that PR person sent out emails to a huge number of bloggers and just took whoever wrote back first. That brand is going to get nothing out of that campaign. I've also dealt with companies that want me to promise not to write anything bad about a product. I simply won't do that. Companies shouldn't be afraid of negative comments, because it gives them a chance to prove themselves, and also to improve the product. If a PR person is reading a blog before approaching a blogger, then they'll get a sense of what that blogger will do if they don't like something. You don't want to work with someone who will just trash your product, but you shouldn't be afraid of honesty. I've also had negative reactions from PR people who've sent me products and are upset because I didn't write about them. I like to write about what interests me. If I haven't promised a review in exchange for a product, then I get aggravated when I get hounded by a PR person. Once I told a PR person repeatedly that I really wasn't that interested in the game they had sent me, but they kept calling me asking for a review. Finally, I gave up and wrote one, and I said plainly that while I'm sure it would appeal to some people, I had no interest in playing it again. I'm sure that PR person was pissed, but so was I for being hounded. Sending a blogger a product in no way obligates them to write about it. If you want to guarantee a review, I suggest you offer the blogger a stipend to compensate them for their time. But then, of course, you have to live with the review, whether or not they liked the product. Though, by the time something gets onto my blog the brand is happy. I'm always fair, and if there's something about the product that I don't like, I try to say it in a way that offers constructive criticism. Amy Bellgardt – I honestly haven't received any negative commentary personally, but I know there are bloggers out there that look down upon review bloggers. Most of the time, I'm too busy to think about it. What do you think of the new FTC guidelines? Amy Oztan – Hard to say. I'm suspicious of anyone who wasn't disclosing business relationships before the guidelines. But I worry that now that more pressure is being put on bloggers to disclose, nobody really knows what the “right” way is. I'm also concerned that readers are pretty much treated like idiots. I was told by someone who's considered an expert on the subject, Susan Getgood, that a disclosure can't just go at the bottom of my post (which I sometimes do, if a complicated disclosure is getting in the way of good writing) because a reader might not read the whole post. She said she heard this from the head of FTC. And I have a problem with that. It lets the reader off the hook entirely. I put a lot of time and thought into my posts, and if a reader doesn't read to the end that's her choice, but it's also her fault if she doesn't get all of the information she needs to decide about a product. In the end, it all comes down to trust. When someone reads a blog for a long time and grows to trust the blogger, she'll trust the blogger's opinion whether the product was provided for free, or was purchased by the blogger. I write about things I've paid for, things I've won on other sites, things I've gotten for free, and things that came with a trip or spa treatment or some other perk behind them. I'll admit I'm more likely to complain about something if I paid for it, but I never ever say anything good about a product if I don't believe it 100%. And my readers trust me, and therefore companies trust me. And the FTC can't mandate trust. Amy Bellgardt – I try to disclose everything, so it's not a big deal to me. If you are a quality person, your ethics will shine through your work, FTC or not. Thank you, Amy O. and Amy B. for taking the time to talk to me today – do stop by and check out Selfish Mom and Mom Spark. 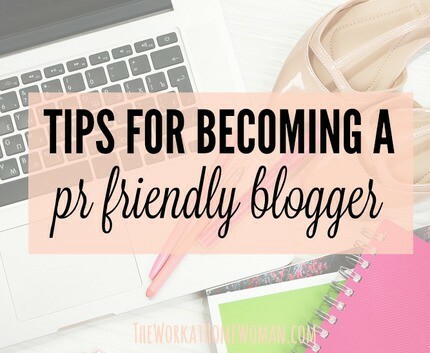 Would you like to become a PR friendly blogger or influencer? Do you work with brands? Drop us a note; we'd love to hear from you! This is lovely. I was contacted by two PR firms within a year of blogging on techpally.com , since then, I had loved to take my blogs as real business and learn every aspect of it. I love the presentation of this interview. My Goodness. I’m also a blog lover, trying to build up my blog since years, but unfortunately I only have a very low quality traffic. I don’t have anyway to get PR 0 to 1. Reason, I heard from some blogs that google stopped its PR updating service. Perhaps I’m not gonna make money from my blog.Is tere anyway now to take up te PR? How can you tell if an offer or request to review a product is legitimate when you are approached by a company? I am worried about being scammed. You should never have to pay for the product or for shipping. If it is a sponsored opportunity, where you’re getting paid for the review, it is likely you’ll have to fill out a W9 form – good reason to get an EIN – employee identification number. You’ll also want to make your links no-follow, so that they are in compliance with Google’s rules and polices; however a lot of companies will request a do-follow link. I always turn these offers down, as it is a no-no. And if something just doesn’t feel right or you’re not thrilled about the product, turn it down. Better to trust your gut and maintain a good relationship with your readers. To be able to maintain a product reviews blog successfully, it takes time to build up audience and reputation, so you can not do this as a business when starting, just can not make that much money first. But is a long term relation and investment – you have to invest a lot of your time first before the money starts coming in. Thanks for much for your post about getting started with product reviews. I’m starting off with products I already own and love and from there will contact smaller companies for product requests. It always excites me whenever I see women put up their own businesses and become independent. Mompreneurs have great insights into marketing gaps and the effort they put in to juggle their time to balance home and business is really amazing. Cheers to all the moms who give it a go! I hope we will continue to see the rise of mompreneurs as future leaders of our businesses and communities. Hi Susan, thanks so much for commenting on this. I hope I didn’t misremember what you said. What I remembered from the session was not that the FTC was mandating where the disclosure went, but that you had spoken to the head of the FTC and that he had said, don’t just put it at the bottom of the post. If I got it wrong please let me know, and I’ll ask to have it updated in my interview – I really value what you have to say and don’t want to misquote you. At the session I did on the subject at BlissDom, a lawyer who works for the FTC was in the audience and clarified for us that the FTC does not mandate where you put your disclosure on the post. In the post, at the top or at the bottom are all compliant. That said, I would still recommend that if you are going to put your disclosure at the bottom of a long post, that you try to work some words into the post that tell the reader that the product was (or wasn’t) a free product from the company. It’s a best practice that helps the reader — especially a casual reader who may have found you through a search engine — better understand your point of view. Because, bottom line, we do judge things differently when we know someone bought the product with her own money. Doesn’t mean the review of a free product isn’t honest, but the thing we paid for ourselves? That’s almost always a stronger endorsement.